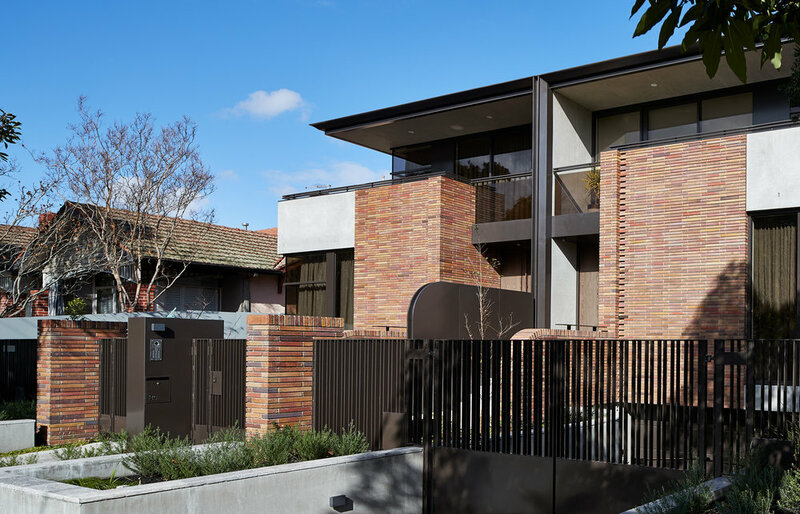 Inspired by the architecture of Frank Lloyd Wright, architect Sepehr Toghyani and owner/builder Tomasz Szmyd set out to create a dramatic impact with a dominant brick façade for their two new dwellings sitting snugly side by side in Hawthorn East. But what Sepehr masterfully created was something significantly more exciting: a Neo-Deco style – the perfect balance of classic architecture with modern influence. While Krause’s Emperor bricks in Autumn tones delivered the classical art deco look, the brick’s long and narrow geometry helped to achieve a more modern, contemporary style.